This spreadable edible has the taste of spiced gingerbread redolent with nutmeg and cinnamon in a velvety, buttery spread with specs of crushed biscuits. 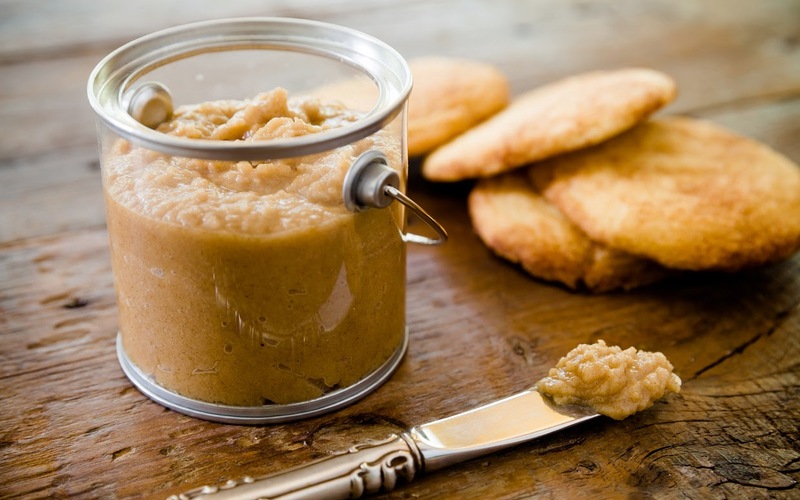 Taste this insanely delicious Homemade Cookie Butter spread that foodies are raving about. 2. Add the brown sugar, cinnamon, nutmeg and vanilla and mix in the processor until a paste is formed. 3. Add in the molasses, butter and peanut oil while processor is running. 4. Add water a tablespoon at a time until enough it becomes a little runny. Add just enough water so mixture becomes the consistency of cookie butter. 5. Divide mixture into jars. Refrigerate until ready to use. 6. Best enjoyed spread over toasted ensaymada or brioche.